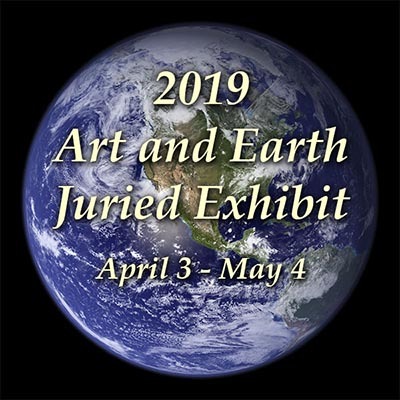 The juror’s results are in for the Ninth Annual Art and Earth Juried Exhibit and we are very pleased to announce the accepted artists for this year’s exhibit. The juror Jay Pastore selected 38 works by 34 artists out of 167 works submitted by 73 artists from 17 states. The exhibit will be on display from April 3 – May 4, 2019. It was an honor to have been asked to serve as the juror for the Ninth Annual Art and Earth Exhibition, sponsored by the Berkeley Arts Council. For this year’s exhibition, seventy-three artists submitted one hundred and sixty-seven works (both 2 and 3-dimensional) from seventeen states for review. All of the submissions, created in a wide variety of artistic media, were spawned by keen observational skills and nurtured with artistic talent. Themes include various elements of nature, the natural environment surrounding the artist, mankind’s footprint on this planet, and global climate change. Selecting a small number of works from a such a large field is challenging. In addition to demonstrating a high-level of conceptual and technical skills, it is the mood and energy created by and within the works in the final selection that set them apart. Jay Pastore received a Masters of Arts in Exhibition Design from the Corcoran College of Art + Design, Washington, DC. He currently serves as Design Consultant at the Roberto Clement Museum, in Pittsburgh, PA (2014-present). Past positions include Artistic Director, Rehoboth Art League, Rehoboth Beach, DE (2014-18); Principal owner and Director, Gallery 50, a contemporary art gallery, Rehoboth Beach, DE; and Juror for numerous regional fine art and craft exhibitions, including the Delaware Coastal Camera Club Final Awards Competition (2014-18), and the Artists Selection for the Delaware Division of the Arts Mezzanine Gallery. Accepted artists must ship or deliver the work between March 25 and March 30. Accepted artists have been notified by email with detailed instructions about the delivery of the work.